Some folks looking at a landfill look down their noses. had been patched instead of pitched? Are you as tired as I am of how toss-away we’ve become? Then you’ll love the idea of a Repair Café. Launched in Europe a few years ago, this reconstructive revolution is sweeping the globe, rescuing all sorts of useful stuff from death-by-dumpster. 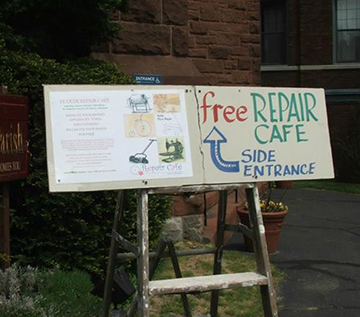 Repair Cafés are free meeting places that are all about repairing things together. They furnish tools and materials to repair clothes, furniture, electrical appliances, bicycles, crockery, appliances, toys, and more. 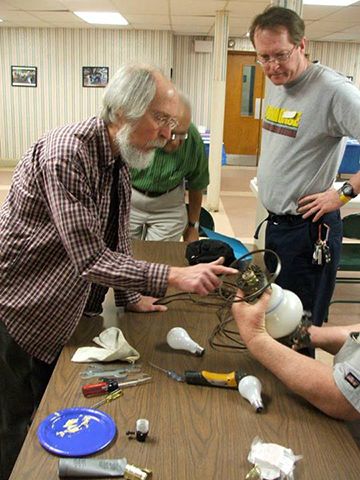 Plus, visitors have the opportunity to connect with fix-it specialists who’ll lend a hand and share their know-how. It’s an ongoing learning process, Postma says, and valuable skills are getting passed from person to person. She believes that the Repair Café environment teaches people to see possessions in a new light and to appreciate their value. Currently, there are only five Repair Cafés in the U.S. (see the list here). If there isn’t one near you, it might just be time to start your own. The Repair Café Foundation supports start-ups with a comprehensive manual and promotional materials to help you spread the word. 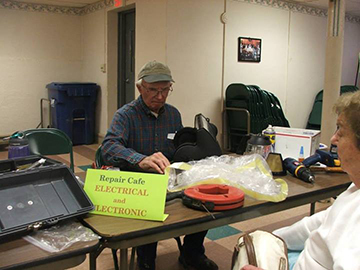 With a smidgen of elbow grease, you’ll be on your way to enhancing your community with a Repair Café. Wish I had the time. I LOVE this idea. This is a great idea! I can only imagine the kind of learning and fun that would take place. And yes, I agree with you, so many things are left piled on the side of the road for the garbage man every time someone moves out. Sofas, small tables , book shelves, chairs with some obvious breaks seem like they could have been fixed. In our university town, every semester end brings student moving out and tons of stuff just piled up on the roadside. Once it all gets the regular afternoon thunderstorm on it, it is pretty useless stuff! Such a GREAT IDEA! 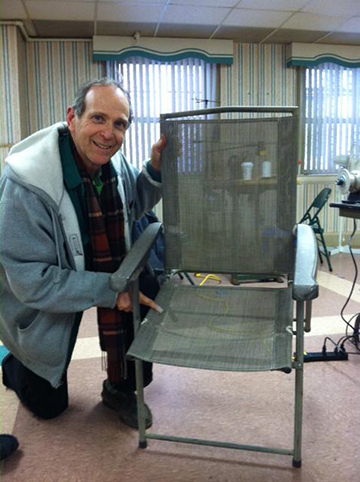 Not only repairing stuff, but giving folks with skills a place to use them. We need to have more of this type of thinking! Wish I had thought of the idea myself, but I don’t have the smarts to do it. I always feel badly about the useable , but dirty, broken and sad things along the road. When I went to the dump one day, someone was throwing a red wagon away. It only needed a slight repair on the tongue of the wagon. It sits in my backyard to haul around grandchildren, pots of dirt, plants or tools, etc. I think the term is “scrounge” and I don’t care what people think. If something needs a little care, do it and give it or keep it and use it. We don’t need to be a “throw-away society” because life is too short to leave a trail of trash behind us. Let’s fix ‘er up and use it! Wonderful! Wonderful! I have spent over 40 years repairing and fixing and keeping stuff out of landfills. 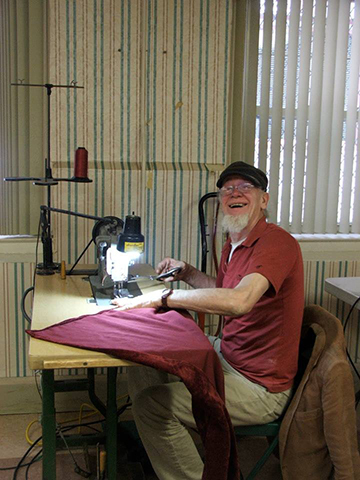 Had a sewing room with ten machines so that people could use them to fix what they needed to. Now I make a few dollars selling on line the things people want to throw away. What a super idea! An idea whose time has come but in our throw away society, I doubt that many will use it. Although re-purposing is starting to take hold. How fun! 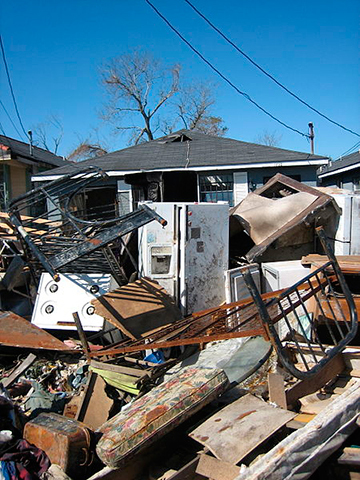 So often we throw things away because we just don’t have the skills to repair them. Thumbs up!